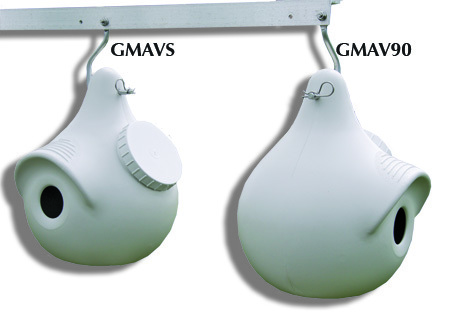 Gourd Mounting Arms are simple to use, add-on at any time, gourd-hanging arms. Use styles: 1 - 5 for the Super System, & AAA. Use style: 2 and 3 for Gemini. 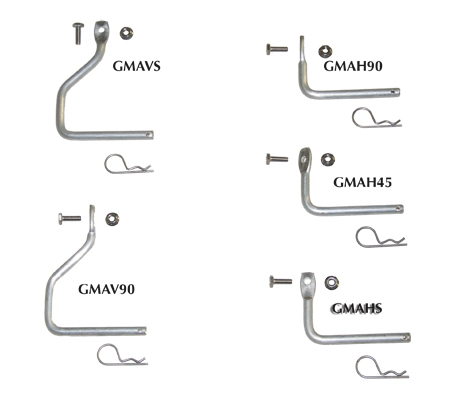 Each of the 3/8 inch solid aluminum gourd mounting arms includes a stainless bolt, nut and hitch pin. Angle pieces are not included. 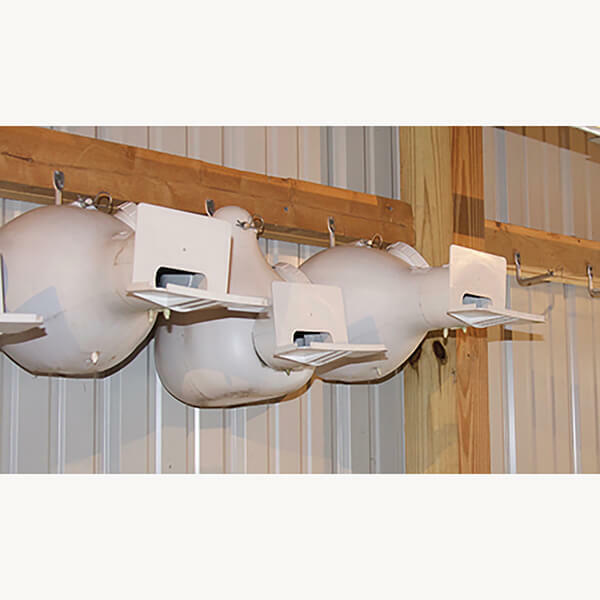 Accommodates gourds up to a 3-inch neck. Mix and Match. Quantity discounts! Ideal for SuperGourds, Excluder, and natural gourds. The gourd's entrance hole faces out and away from the pole. Ideal for SuperGourds, Excluder, and natural gourds. The gourd's entrance hole is directly below the gourd-hanging arm. Ideal for all Troyer Gourds and most S&K Gourds. The gourd's entrance hole is directly below the gourd-hanging arm. Ideal for all Troyer Gourds and most S&K gourds The gourd's entrance hole faces out and away from the pole. This Horizontal 45 degree GMA will place the gourds entrance hole at 45 degrees. Used with Super Systems.